Prominent & Leading Manufacturer from Jaipur, we offer silica powder, glass grade silica sand, high quality quartz powder and quartz crystal. 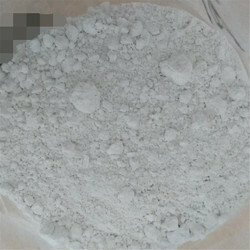 We are one of the well-known manufacturers and exporters of superior quality Fine Silica Powder. The offered powder is highly demanded in the international market for its whiteness & brightness and high purity. We are extensively recognized all over the country for supplying a varied range of Glass Grade Silica Sand.Our range is widely used in ceramic and many other linked industries. This range of products is available in diverse particle sizes. In addition, we offer our range in accordance with the specifications and requirements laid down by our clients. 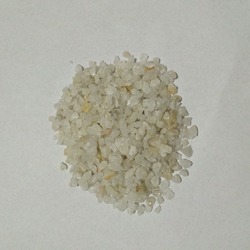 Our range of Quartz Lump is highly in demand by our esteemed clients spread across India. We are the leading manufacturer of High-Quality Quartz Powder and our product is made of good quality. Quartz is the most common mineral which alone forms by SiO2 in the nature, which including two kinds of quartz, one is trigonal crystal low temperature quartz (a quartz) and hexad crystal high temperature quartz (b quartz). Its assumes the shapes of rhombohedron, hexad direction columniation, double tripartite cone, the tripartite rhombic shape; which color is achromaticity, ivory-white, multi colors if mixed in the impurity not cleaves of mixed in the impurity, Not cleaves, has the conchoidal fracture, the oily luster, hardness 7, density 2.65 g/cm3. Its crystal common has solid, liquid and gas enwrap.